Your family's rental home might be a wonderful place to reside and build a life. Nevertheless, you have a responsibility to keep the property in good shape. That might be hard to do when you have many people under the same roof. Every home will face a fair amount of wear and tear during your occupancy. Still, you can put procedures in place to keep the property secure and in good condition. That might save you a lot in rental penalties down the road. Let's explore this topic a little more in-depth. 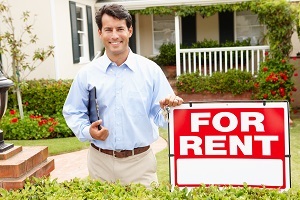 No landlord expects a renter to leave a property unscathed or untouched. However, they do expect you to take care of the space. What can you do to keep the property in good condition? Whenever someone moves into a rental property, they're going to have an impact on the space. At times, there might be a few bumps and bruises left behind. Property owners will likely expect such wear and tear to occur. They often will add a few financial penalties to your lease in case damage arises. Think about damage penalties the way you would penalties from renting a textbook. You might pay a security fee when you rent the book. If you return the textbook in good condition, you'll likely get the money back. Yet, if you return the item with significant damage, you’ll probably have to pay. The same idea goes for rental properties. If you leave significant damage, you might face financial charges. That's because the landlord will hold you responsible for the damage. Your challenge as a renter is that you can't keep total control of the property and its inhabitants. Damage or deterioration might arise at any time. Ask your landlord about whether they require you to undertake any specific maintenance. They might require you to make certain home repairs as they arise. Such items often come as stipulations in your lease. Keep contact information for your landlord and their preferred maintenance services on file. Notify your landlord as soon as property damage occurs. Carefully inspect the property for pre-existing hazards. Notify the landlord to repair these items before you occupy the property. Survey the home for sensitive items. Don't hesitate to ask your landlord whether you need to take care around the items. Even consider items like exposed gas lines, appliance hazards, glass doors or electrical outlets. Think about how your family might accidentally damage them. What can you do to protect these items? Don't hesitate to set rules for your family about appropriate use of the property. For example, don't let the kids climb on banisters. Don't play a game of catch where you might throw a ball through a window. Remember, property damage might not only come from people. Pets also pose threats to rental properties. Assess the area for these risks as well. Simply put, think about how your family will occupy the property. Then, ask yourself how you can protect both yourself and the property during your time there. Landlords usually do have a right to recover costs in case of property damage. Even in cases of simple wear and tear, you might have to pay for the damage. Many property owners levy occupancy fees on their renters. They might refer to these as cleaning fees, maintenance fees or similar wording. When you move out of the property, you might receive all or a portion of the cost back. If you don't receive the full cost, the landlord will likely inform you that it will go towards property repairs. Keep in mind, in cases of exceptional damage, additional fees might also appear. Depending on your lease and local laws, these costs might vary. Your lease should list the costs. Therefore, talk to the property owner about your risks. Even with fees in place, you might have to carry renters insurance, namely liability coverage. Many landlords require this coverage. It will cover property damage you accidentally cause. However, it applies in cases different from simple maintenance and cleaning fees. Let's say you accidentally cause a fire while cooking. The fire damages cabinetry and the stove. Though an accident, the problem was your fault. It damaged the property of the landlord, however. The landlord might want you to compensate them for these losses. A claim on your liability policy can help you repay the damage costs with less of a personal financial loss to you. Even so, you never want to make a liability claim in the first place. It's thus up to you to put in place safety precautions to reduce property damage risks at all times. With care and attention to detail, you can do so appropriately.